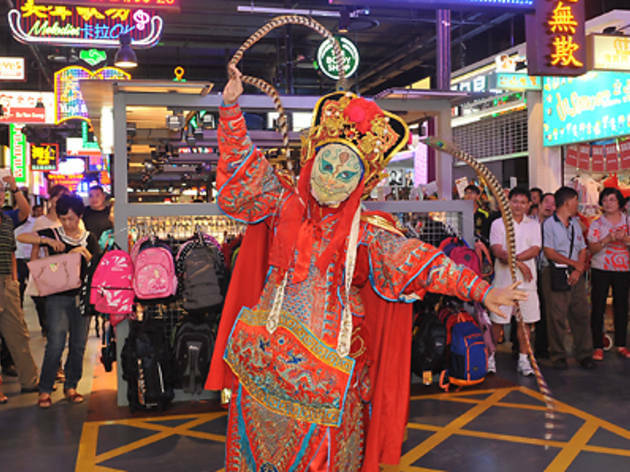 Another themed shopping and dining street "Mongkok" has been added to Jurong Point, aiming to bring visitors an authentic Hong Kong experience on the third level of JP2. Shop at the City Mahjong Centre and 8 Treasures, and dine in at the brand new "Legendary Hong Kong" serving authentic Hong Kong cuisines. 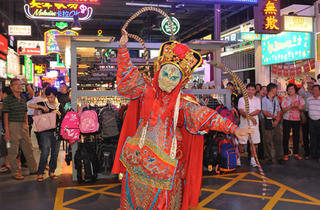 In light of the launch, Jurong Point will be holding a series of buskers' performances like the Bian Lian, fringe activities such as the calligraphy contest and karaoke marathon, and interactive roving acts where members of the public get a chance to win prizes, every Saturday (till 9 Aug). The "JP Dressing Room" will also feature fashion items available at "Mongkok" - try on the digital outfits and get complimentary instant printouts. Shoppers who spend $88 at "Mongkok" can also redeem a "Bao" collectible cushion which comes in four different designs (till 31 Aug).